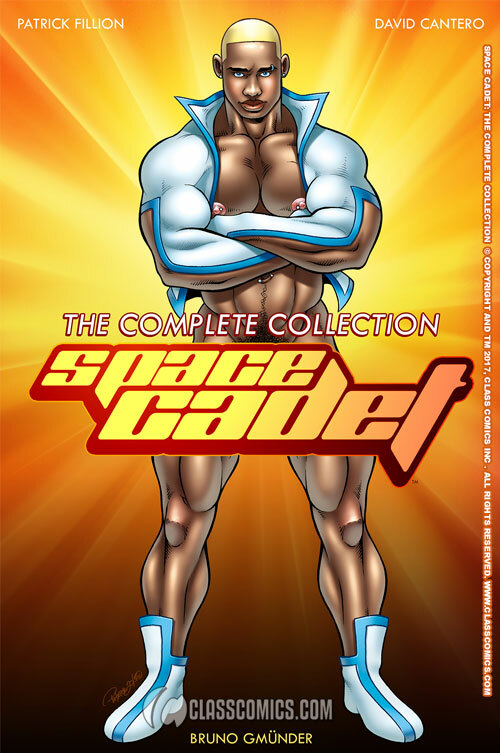 Class Comics has teamed up with fine gay art and photo books publisher, Bruno Gmünder to bring you a fantastic new Trade Paperback Graphic Novel Space Cadet: The Complete Collection! This amazing book is a whopping 208 pages and it collects every single issue of the Space Cadet storyline, including his critical Stripshow episodes! It also includes never printed before VOID story, written and illustrated by Patrick Fillion. 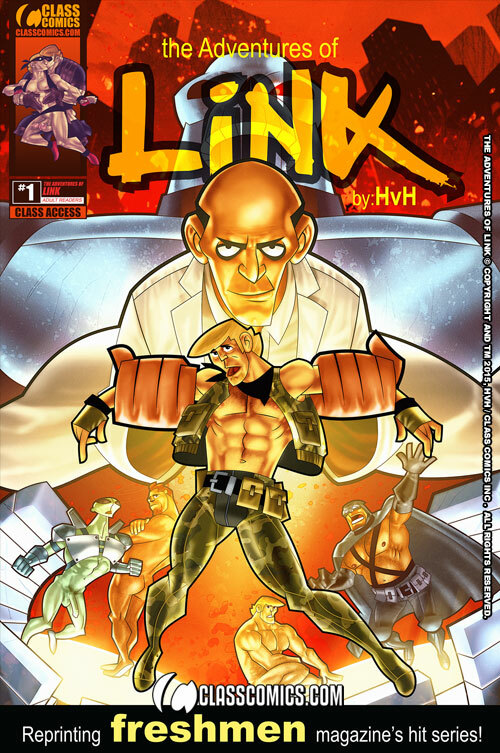 The tale reveals an unearthly visitor that Byron must face… and has long reaching consequences in the Class Comics Universe! On top of all, featured in this incredible volume is a massive gallery of artwork from artists such as David Cantero, Bob Grey, Leon de Leon, Anthony Gonzales, Albron, Rubo, Lucky Sanford and Bryce Peters, along with colors by Nimbus and Hernán Cabrera to name just a few. The gallery also includes beautiful 3D renderings of the Space Cadet himself, by none other than the immensely talented Albron. For more previews and story details check out Space Cadet #1, Space Cadet #2 , Space Cadet #3 , Hook-Ups #1 and VOID!